Kristan has outdone herself on the creepy Halloween scale. 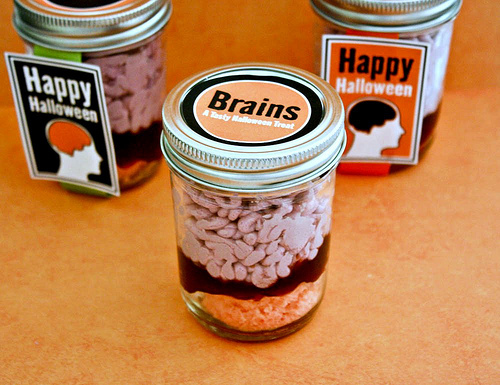 These brains in a jar are beyond gross, which is exactly what you might be looking for to add to your Halloween dessert table. And you can even get the free Halloween printables to go with them, not that anyone will need any explanation. You can see the tutorial for these Halloween brain cupcakes over at Living Locurto. Thanks for sharing this fun treat!